Get ready to fig your wig, this wrestling event is HOT to TROT! The EXTRAVAGANZA! 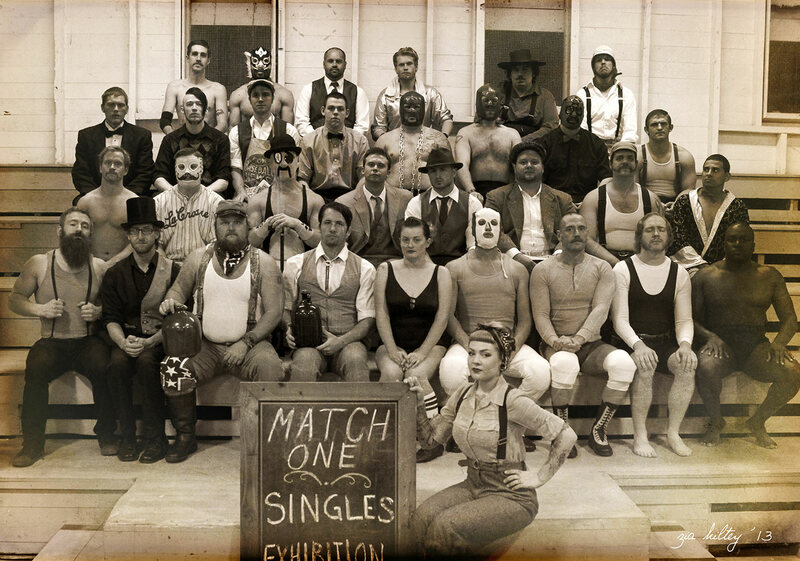 is a one-night wrestling/reenactment event celebrating the competition of professional wrestling as it was presented at the turn-of-the-20th century. Taking place in Norwalk, Ohio, we’re focused on providing family-friendly wrestling entertainment in a new and exciting way, albeit through a pair of vintage bifocals. The EXTRAVAGANZA! is much more than an exhibition of vintage professional wrestling. We are creating an atmosphere that will feel as if attendees have stepped back in time. In addition to wrestling, we have: a ringmaster, ragtime band, newsies, carnival style exhibits, and more old timey entertainment the whole family will enjoy. Fans are encouraged to wear clothing of the time and take part in the fun!